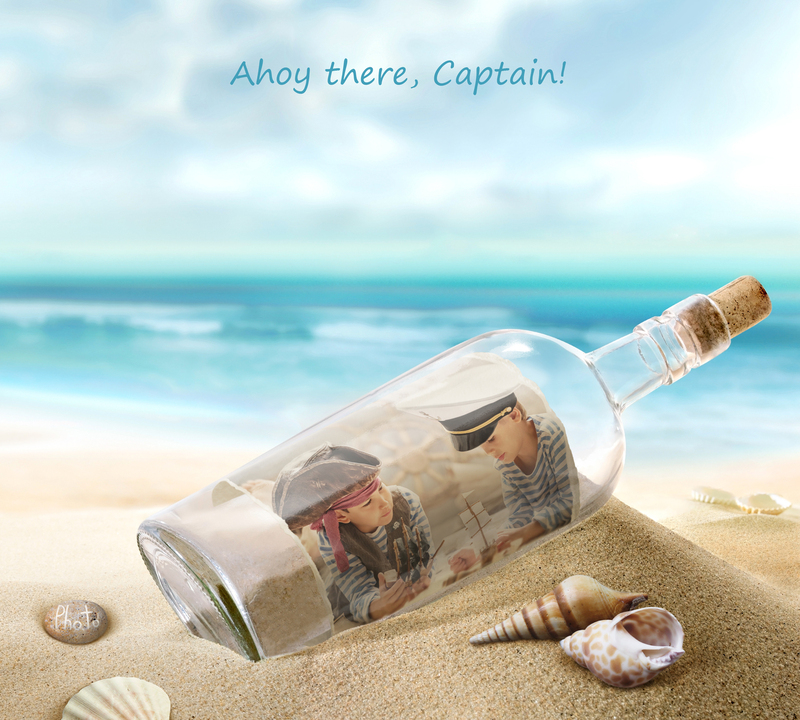 Who said there must be a written message in a bottle? As far as we know, it’s not a rule or law. So we dare to gave it a go with a photo and quite liked the result. 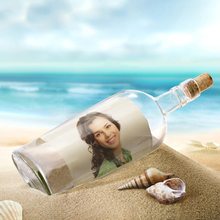 Now it’s your turn to put your picture in a bottle! With all the technologies around we still use message in a bottle from time to time. While it was primarily used by pirates or castaways as SOS signal and cry for rescue, our usages of this form of communication are more playful and even romantic. 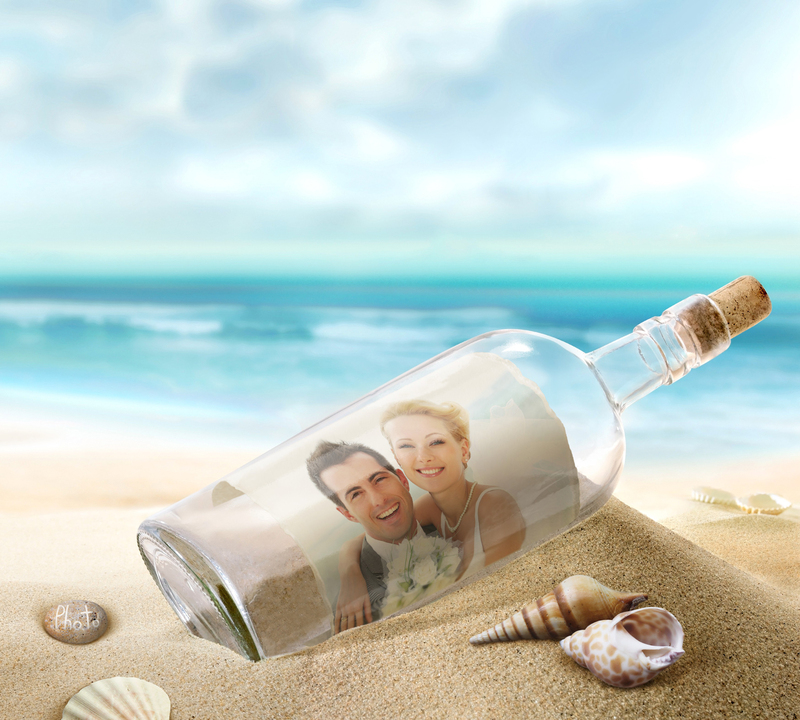 For example message in a bottle attracts newlyweds as an extraordinary way of gathering wedding wishes. Most often they won’t release it into the sea or ocean. They just put it in a nice secure place to uncork the bottle in a year (or on any anniversary) and read all the messages. And this wedding flashback is what all the fun is about. We also believe that releasing your bottle into open water isn’t necessary. Moreover we suggest that you do it all online and put your own photo in a bottle instead of writing anything on a piece of paper. 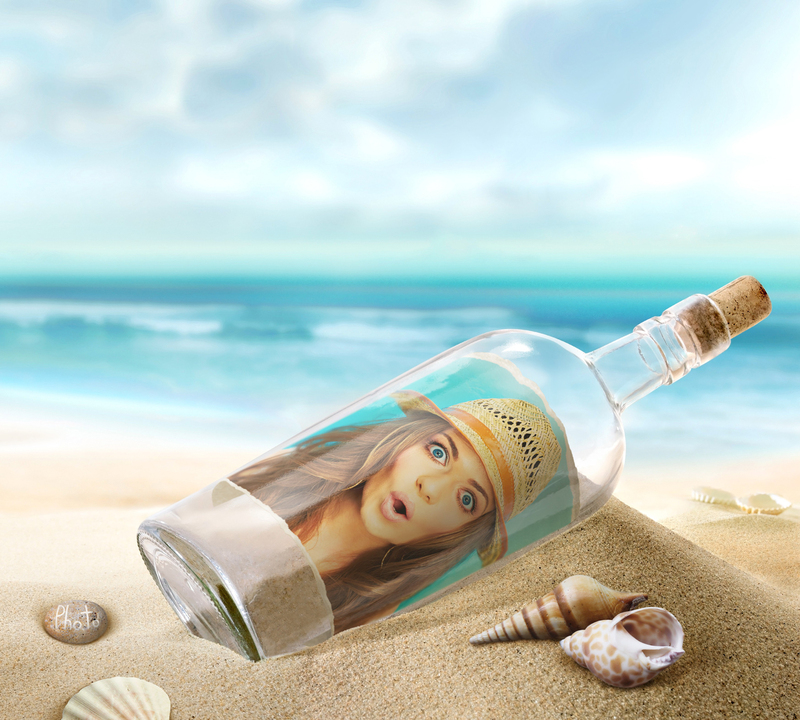 With this photorealistic montage you can freeze that particular moment on the beach, when the bottle is sealed and you are ready to throw it into the ocean. Now you know about this photo effect, use it your way. For your wedding day or for your kid’s pirate-themed party. It can even become your online interpretation of SOS signal. So put your picture in bottle, seal it and release into the Internet.